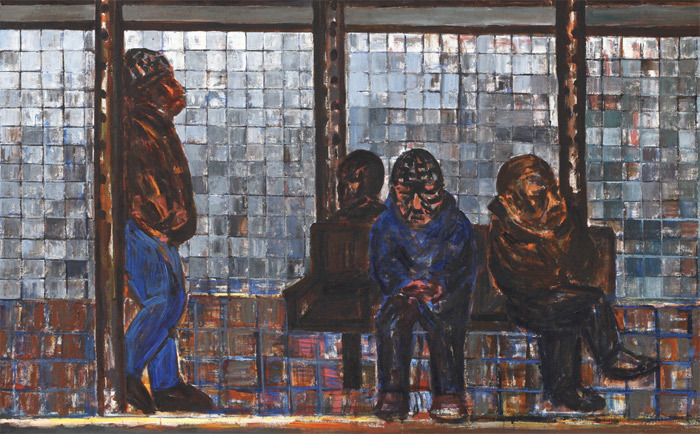 Suh Yongsun, People Waiting Subway at 14th Street Station, 2010, acrylic on canvas, 56 1/2 x 90 3/4". New York subway riders waiting at the Union Square station, café-goers in Melbourne, and the environs of the Brandenburg Gate appear as subjects among thirty-six paintings and six sculptures by Suh Yongsun at the Hakgojae Gallery. The style is a mix of Cubism, Fauvism, and Expressionisma sort of synthesis of early- to midmodern manifestations. 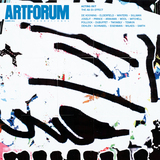 Suh’s stubborn insistence on such stylistic choices stands apart from the fundamentally Westernized mainstream trends in modern Korean art, which has been dominated by minimal abstraction from the 1960s through the ’80s, and since the ’90s by installations, media art, and other typical contemporary practices.